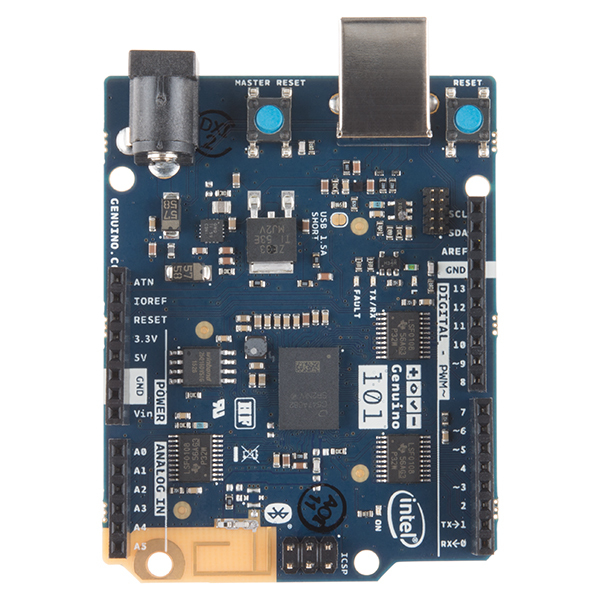 The Genuino 101 is a learning and development board that delivers the performance and low-power consumption of the Intel® Curie module with the simplicity of Arduino at an entry-level price. 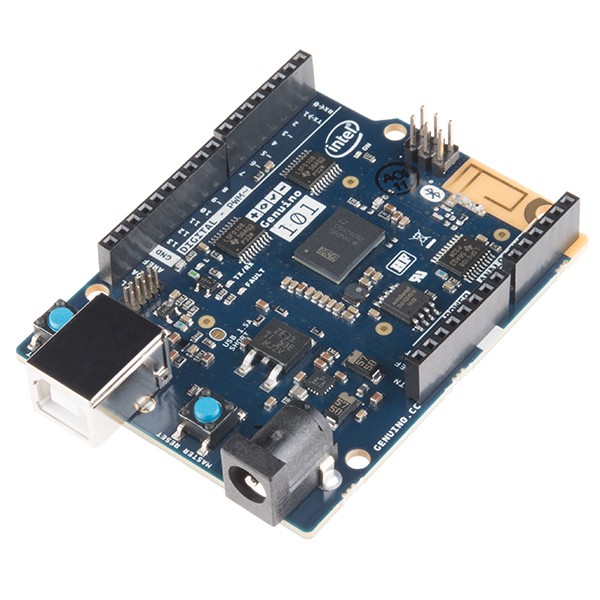 This development platform keeps the same robust form factor and peripheral list of the UNO with the addition of onboard Bluetooth LE capabilities and a 6-axis accelerometer/gyro to help you easily expand your creativity into the connected world. 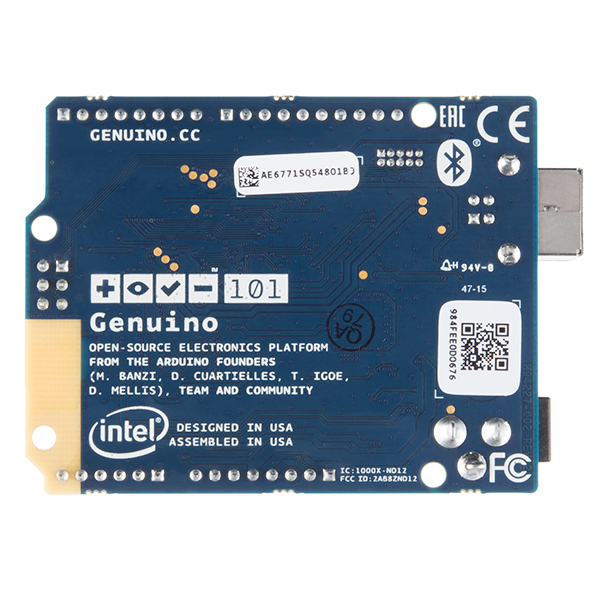 Note: The Genuino 101 is only available for customers in the countries detailed on [this list](https://cdn.sparkfun.com/datasheets/Dev/Arduino/Boards/Genuino101-ATLASEDGE3 countries.pdf). If you are located in the United States be sure to check out the Arduino 101 instead. Sorry, world! Note: The Real-Time Operating Systems (RTOS) and framework developed by Intel is scheduled to be open sourced in March 2016. Until then, it's not possible to interface with it directly; only the Arduino core can do it via static mailboxes. Arduino 101 Explained with SparkFun! Can this be ship to Singapore ? 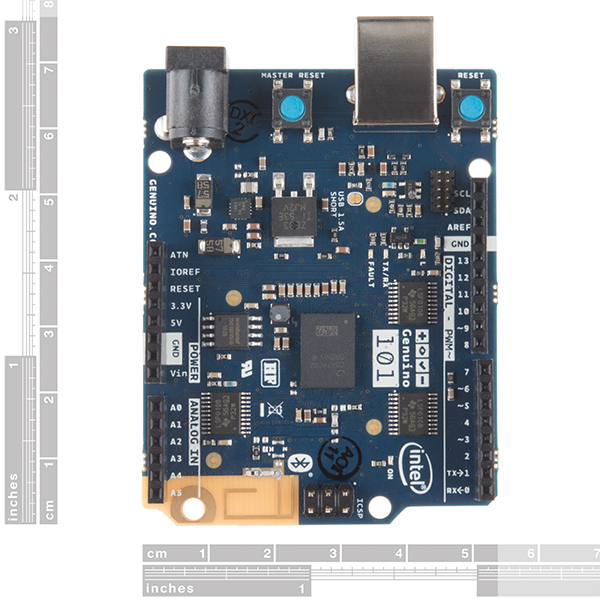 I understand why you (SparkFun) are carrying the Genuino line. (A customer is a customer no matter where on the planet they are with today's global economy). I just hope everyone can get a chuckle out of the irony of importing a product that can only be exported... Are you even "allowed" to power them on for quality control, because that could be construed as "using" it? Oddly enough I believe we are getting these from Intel and not importing them. I do not believe we are "allowed" to power them, but we don't have to deal with any quality control stuff on our end (even with a bad board we rarely get something like this back internationally because of shipping costs). On the other hand I don't know how Intel does it.